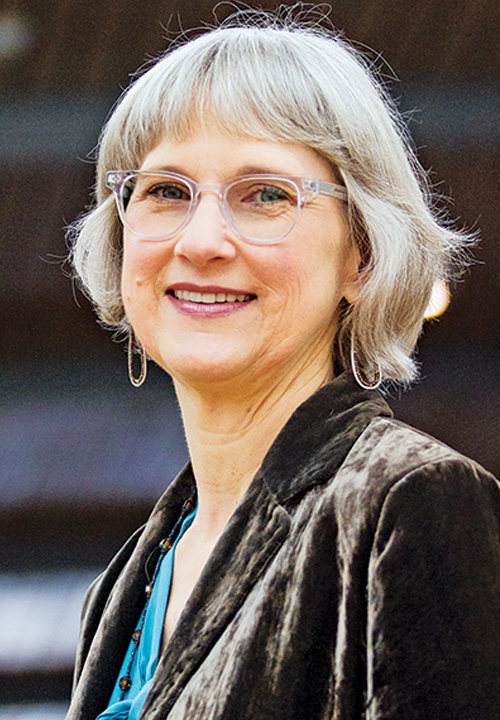 Lynda Frost is principal of Lynfro Consulting in Austin, where she provides innovative and thoughtful solutions for foundations, nonprofits, and governmental agencies. Though she retired from the Hogg Foundation in 2017 and holds inactive status with the State Bar, Frost continues to do pro bono legal work through the New Opportunities Volunteer Attorney, or NOVA, Pro Bono Program and Volunteer Legal Services of Central Texas. Above photo by William Philpott. Tell us a little about yourself, your career, and how you came to practice law. I was working on a Ph.D. in educational administration after teaching in Durango, Mexico, for almost five years, and while I was in school, I became passionate about my school law class because the cases didn’t seem to make sense. I wanted to figure out how they were consistent with justice. So I went to law school really more out of an interest in understanding the law and not necessarily practicing it. In law school, I did a lot of human rights-related work because I previously spent a lot of time in Latin America. I clerked with the Inter-American Court of Human Rights and did my dissertation related to human rights, and when I finished with school and some clerkships, I ended up going into academic law. I then taught law at a number of schools, including the University of Richmond; the University of Virginia, working on mental health; and then the American University in Cairo, teaching international criminal law, before ending up in Texas. In San Antonio, for the first time in my life, I actually practiced law. I started a private practice doing family law, mediation, some mental health law, and some school law, representing children and families. It was not a straight path at all. Do you have a certain pro bono case that stands out more than others? I’ve gotten involved in a “debtor’s prison program”—kind of dramatic language but it’s where volunteer attorneys represent indigent clients who are facing jail time because they have not been able to pay their traffic tickets. They get tickets for minor offenses but if they don’t pay and they don’t show up in court, they get warrant issues for failure to appear. I have a client who had a ticket for driving without a license and failure to have a current registration sticker and she didn’t show up. She was afraid. She thought she would be arrested if she showed up at the justice of the peace court, which of course, she should have done. When she didn’t show up, they put out a warrant for her arrest so then she was at risk of being put in jail. The case really sticks out in my mind because these are Class C misdemeanor cases. She’s in her 70s. These are cases with very minor charges and the life consequences for people are really challenging. I’ve been doing this case for almost a year now, and I never would have thought that. It’s incredibly complex and it’s ridiculous. It’s not this particular case that’s messed up—it’s the way our system is currently structured, in which the penalties are so disproportionate to the action that somebody did. You said you like to look for Spanish-speaking clients. You’ve alluded to a shortage of attorneys who can speak the language. One of the things I’ve done for about 15 years now is the legal aid advice clinics that Volunteer Services of Central Texas organize. They have interpreters who come to the clinics, but it’s always easier if you have attorneys who can speak Spanish. They tend to give me the clients who are only Spanish-speaking first. That can help streamline the process and get people moving through the clinic in a more timely manner. I assume those cases are typically in areas you’re familiar with. At the advice clinics, there are two different branches—general law and family law. I work on the family law side. What I find with the clinics are people who are in the first stages of a family law case. Their spouse has filed for divorce and they just got the papers or they’re thinking about filing themselves but don’t understand what the process would be. Sometimes there are people from other parts of the state who aren’t eligible for our local legal aid, but we can talk with them for 10-15 minutes and give them an orientation to what’s going on. The family law cases are often highly emotional. People are shocked and angry and reacting to the situation. Rather than complex legal analysis, it’s about using people skills to help somebody identify what’s going on, the real legal questions, and the steps he or she can take. What do you think makes an attorney successful at pro bono work? The ATJ Pro Bono Champion is a quarterly feature highlighting the work of an attorney chosen by the Texas Access to Justice Commission. Recipients represent diverse practice and geographic areas and are selected based on their volume of and length of time spent on pro bono work. To learn more about pro bono work in Texas or to get involved, go to probonotexas.org.